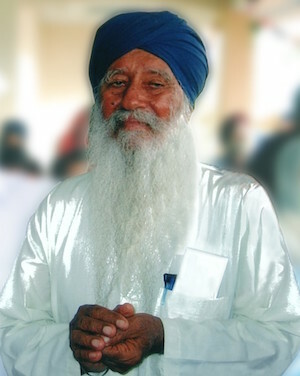 Giani Banta Singh was amongst the giants in the list of long-serving and dedicated Granthis in Southeast Asia. He was a school bus operator who dedicated much of his life to teaching Punjabi and Gurmat with Ulu Yam as his launch pad. Banta Singh belonged to a generation of local granthis, with Malacca Granthi Giani Rann Singh, who passed away recently, counted as the last amongst them. Like his father, the late visionary Giani Chanan Singh, Ulu Yam Baru, Selangor, Giani Banta Singh had dedicated every moment of his life to selfless community service and lived in the fullness of Guru’s grace. A devotee of Sri Guru Granth Sahib, Giani Ji taught and lived by the principles of Gursikhi and Gurbani. He had a deep appreciation for Sikh culture, history, literature, and poetry. Around him one would experience a state of ‘Chardi Kalaa’ where intellect, the arts, and Sikhi were woven together with a touch of wit and humour. Banta Singh was the younger of 2 siblings. Born in 1928, he grew up in Ulu Yam Baru and lived there throughout the course of this life. Soft-spoken and gentle, he had a thirst for knowledge. However, much of his childhood was spent during the world wars and the Japanese occupation, resulting in lost opportunities to receive a formal education. Undeterred, he attended English language night classes at the Chinese school near the Gurdwara in the 1950s and completed his Giani with the University of Punjab with honours in 1957. Banta Singh married Bibi Charan Kaur at a young age and they were blessed with 8 wonderful children. Together with the support of his father, Giani Chanan Singh, and his brother, Sardar Tharam Singh, they spared no effort to educate their children in English, Punjabi, and Sikhi. Banta Singh was a role model to his family and lived by high principles. He was also revered and highly respected by his sons-in-law and daughters-in-law and blessed with 24 grandchildren and 11 great grandchildren, who love him dearly. Devoted to his family, he ensured that his children had strong Sikhi roots. He filled them with pride about the Sikh faith telling them inspiring stories of our Satgurus and guided them to practice the Guru’s teachings. 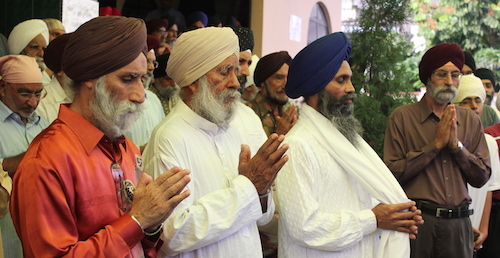 By Guru’s grace, his grandchildren also acquired the love for Gursikhi, Gurbani, and Keertan. Till his last days, he continued to spend quality time with all of them. A man of simple beginnings, the initial years saw Banta Singh supporting his family by driving a lorry carting firewood for long hours while at night he was an engine driver for the district’s Central Electricity Board. It was a hard life for many years. Subsequently, he started a small school bus service using the family’s old Ford Consul car. For many years, the good old car carried 13 passengers in a 3-tier layout, with his children on the lower most tier! Later he saved enough to purchase a second-hand school bus to ferry children to nearby schools. Working tirelessly, he soon purchased larger buses. During the school holidays, he would use the buses for out station excursions to supplement the family income. Through this, he spared no effort to provide a good education for all his children. As the years went by and his family’s commitments were taken care of, Giani Ji turned his efforts to providing free Punjabi classes for children in the neighbouring areas of Tanjung Malim, Kalumpang, Kuala Kubu Baru, and Rasa. He would start his day by driving to Kalumpang in the morning to teach those children who attended afternoon school, and then stay on to teach those who would have returned from morning school. He would then proceed to teach in Kuala Kubu Baru and Rasa before returning home in the evening. After his retirement, a typical day in Giani Ji’s life would start at 4am with the darshan at the local gurdwara, which is a stone‘s throw from his home. He would complete his Nitnem and then come home for breakfast. Knowledge of Giani Ji’s wisdom and gift for teaching spread everywhere and very soon, parents who lived as far as Rawang and Bukit Beruntung began to bring their children to his house at night for personal classes. He also conducted Paath classes for adults who came all the way from Genting Highlands. Giani Ji also acted as the stand-in Granthi for the Ulu Yam Gurdwara and would perform his service with deep love and affection. It was a commonly accepted fact that Giani Banta Singh Ji could be depended upon 24 hours a day! To help connect the Sikh Community and the young people with the teachings of our Satgurus, Giani Ji embarked on a special project to display paintings which portrayed stories and poignant moments in Sikh history. Today, these life-size paintings adorn the walls of Gurdwara Sahib Ulu Yam Baru. Another passion that Giani Ji had was to research the life and travels of Sri Guru Nanak Dev Ji. He was so moved by the thousands of miles Baba Nanak travelled on foot across the Asian and African Continents that Giani Ji hand-sketched his very own map of Baba Nanak’s travels. Copies of these are on display in the Gurdwara and in his home. Giani Ji was also a writer and poet, a passion which led him to write Sikhi themed poems for his children to be shared with the sangat during gurdwara programs while his writings led him to contribute articles towards the the Kuala Lumpur-based Punjabi newspaper Malaya Samachar. Giani Ji’s writings on Sant Baba Vir Singh are often used as reference and his poetry is sought by readers. This he continued to do until the final months of his blessed life. With his love for Guru’s Baani, Giani Ji encouraged people to do a sahej paath (continuous reading of SGGS) even if there were no listeners. Furthermore, he encouraged his family and his students to read Paath themselves because he had great faith in the transformative power of Gurbani and motivated everyone to plant the seeds of Gurbani in their hearts and minds. Often he was the sole listener to the Akhand Paath held in the gurdwara at amrit vela. His family recalls the endless hours spent with him in loving conversation, pearls of wisdom and precious hours of family prayer. Until today, the Rehraas hour is sacred for them – this is the unspoken rule of his home and all work stops during this time. In the last months of his life when his health was failing, he became silent and was often found with his eyes closed in meditation, accepting his illness as the divine hukam of Waheguru. As his life journey was about to be completed, Giani Ji was listening to Sahej Paath being recited at his bedside by his eldest daughter. How do you describe and do justice to the contributions of this humble, kind and wise soul? Single-handedly Giani Ji promoted Punjabi education to countless people in their homes and local gurdwaras; firmly believing that he did not need to hold a position of authority at any gurdwara or organisation to perform this supreme seva. All his classes were free of charge and his travels were self-financed. His humility, wisdom, gentle nature, and melodious voice reached many hearts; he never raised his voice even with his own children despite the many hardships faced in his early years. Honest, hardworking, and respected, he lived a life of integrity. He had a soft spot for the weak and poor, and did not hesitate to offer endless advice, emotional and financial support to people in need, irrespective of their religious beliefs. Today, we celebrate Giani Ji’s life and his silent contributions which have impacted so many lives and families. In him, the Sikh community had a rare and precious jewel. His character and his personality were a source of inspiration for everyone who knew him. A strong advocate of humility and generosity, he shunned publicity, never taking credit for his selfless service. Giani Ji was truly a spiritual soul and his loss is felt within the Sikh Panth and humanity at large. Giani Banta Singh has taught us that: One Man Can Make A Difference. His message to all: GURBANI, GURBANI, GURBANI. Next articleWe don’t do kavadi. Period. He was a Saint. I miss his smile his love for all his children ( biological or otherwise) his willingness to listen even to the littlest among us gravitated to his love. He was a giant of a men. I met him again after 16 years having gone abroad to study and live and he made me feel that we never missed a day. His hug was humongous and the love within is still present to this day. Last I met him was in 2008 in Ulu Yam on my way back home to the States and his memory is everlasting. Thank you Jio. May his love and teachings keep spreading. Truly a wonderful man.It was very strange how WE landed to meet in Taman Tun Ismail one fine day, while attending a wedding.We had crossed through writings in the MALAYA SAMACHAR over a number of years. That days about 5 years ago, I was seated along with a number of people, where Giani Banta Singh ji was also seated. After I had said Gurfateh, I was asked to take a seat not far from Giani ji. I observed he was a very quiet man, but with a slight permenant smile. As I carried on speaking with someone else, he listened to our conversation, suddenly perking up, and became very attentive. I nodded my head ..haan ji, he moved closer to give me a hug, saying I am so pleased to have met with you, ji, I read your articles very carefully, as I find the language is beautiful. I am glad I have met you in person. He introduced himself, then I realised I had come across his writings sometimes in the papers. He said, when you were speaking Punjabi, your accent attracted me to listen. I thought you are from Punjab, not realising…you are local born from the North. In that short time, I found he was a wonderful man, and he invited me to his home town Gurduara, I cannot recall the name. Serdang or Serendah??? Today having read more about him, I realise it was God sent opportunity to have met someone like him out of the blue and across seven oceans …is truly a blessing!